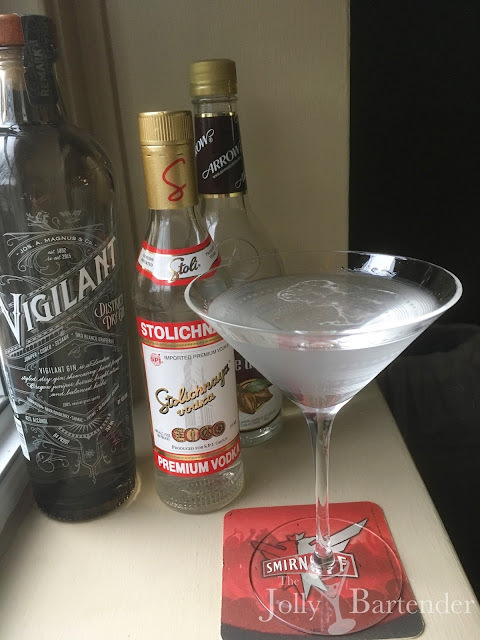 Like the Ninotchka, the Russian Cocktail is a vodka and creme de cacao drink. I'm finding that this combination is very pleasing (especially when it comes to the clarity of the drink) if not a little sugary. Gin, like Vigilant, adds spicy flavors that make drinking it more interesting.